Marc Ainger, head of the music theory and composition area, is active as a composer and sound designer. He has worked extensively in the area of computer and electronic music, using computers alone and in combination with traditional instruments, as well as in combination with other media such as film, dance, and theater. Significant commissions and performances include the Aspen Music Festival, the American Film Institute, the KlangArts Festival, Gageego New Music Ensemble, Guangdong Modern Dance, the Royal Danish Ballet, the New Circus, Streb, and Late Night with David Letterman. Awards include the Boulez Composition Fellowship, the Irino International Chamber Music Competition, Musica Nova, Meet the Composer, the Esperia Foundation, and the Ohio Arts Council. As a sound designer, Ainger has worked with such institutions as the Los Angeles Philharmonic, Tempo Reale, IRCAM, the Olympic Arts Festival, and Pacific Coast Soundworks. He holds a Ph.D. in composition from the University of California, Santa Barbara, and an undergraduate degree from California Institute of the Arts. As a student, he worked with a number of composers, including Stephen Mosko, Barry Schrader, Morton Subotnik, Karlheinz Stockhausen, John Adams, Morton Feldman, Earle Brown, John Cage, Steve Reich, Vinko Globakar, and Bill Kraft. 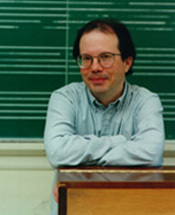 Before joining the faculty of The Ohio State University, he taught composition and computer music at the University of California, Santa Barbara.